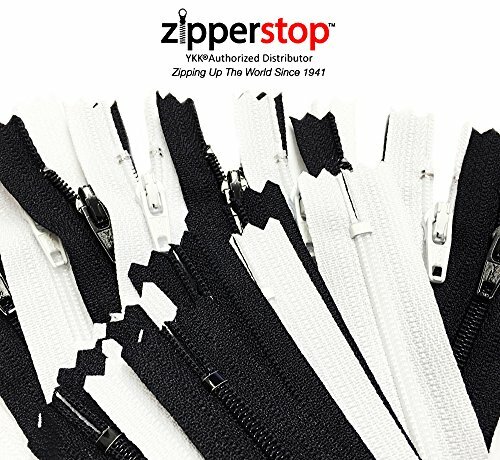 ZipperStop Wholesale Authorized Distributor YKK® 25" Vislon Zipper ~ YKK #5 Molded Plastic ~ Separating - 580 Black (1 Zippers/ Pack) Made from the finest quality plastic to ensure extra strength & reliability. Very popular for active wear and outerwear. Great for ski jackets. Color may vary on your monitor. Coil zippers have a ton of versatility. They can be used in anything from apparel, luggage, sporting goods, and even in automobiles! YKK's coil zipper is made of spiral plastic elements, including polyester and nylon. 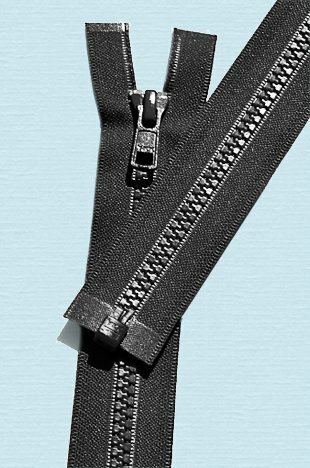 The coil style zipper is among the most popular zipper types. Expand your project's possibilities with coil zippers. This pack includes 25 coil zippers. The color of each zipper is randomly assorted. 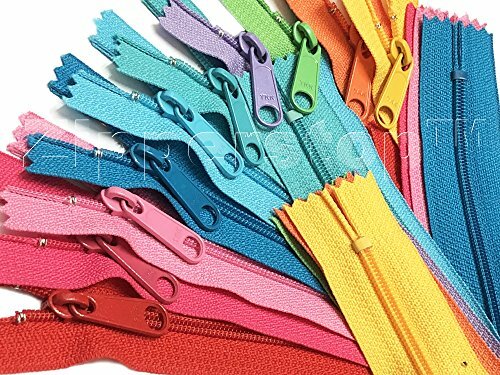 These high quality coil zippers have various usages such as: (Clothing) (Backpacks) (Interior furniture) (Luggage) (Outdoor gear)...and numerous other applications or uses. 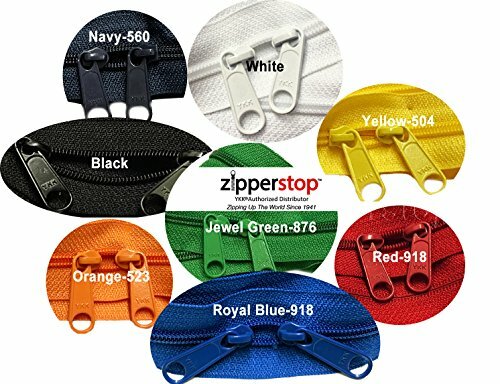 ZipperStop Wholesale Authorized Distributor YKK® Sale 14" Handbag Zipper Assorted Color YKK #4.5 with Extra-long Pull (10 Zippers /Pack) Measurements: Overall- 15.5" (39.5 cm) Zipper- 14" (35.5 cm) Pull- 1.25 inch Tape width is 5/8" each side. THE PREMIER ZIPPER OF CHOICE The assortment will include the hottest colors of the season. A crafter's special! -The finest nylon coil zipper made with an extra long pull. -Great for pocketbooks! Color may vary your monitor. 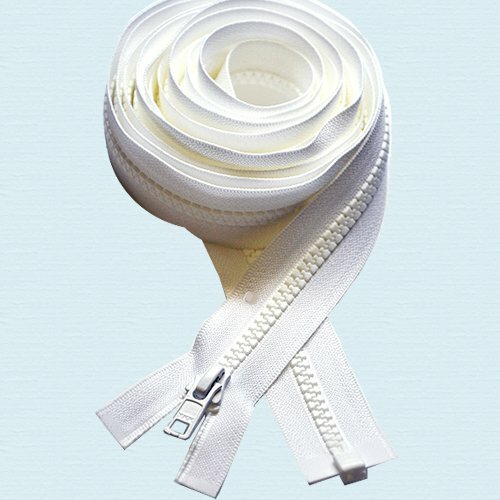 ZipperStop Wholesale Authorized Distributor YKK® 120" Zipper ~ Long Arm Quilting Machine Zipper ~ YKK #5 Molded Plastic ~ Separating ~ WHITE (1 Zipper) YKK's perfect zipper for the LONG ARM QUILTING MACHINE. Thoroughly tested to ensure strength & reliability. Color may vary on your monitor. 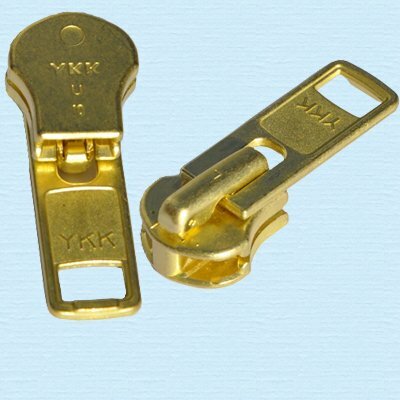 ZipperStop Wholesale Authorized Distributor YKK® Zipper Repair Solution, YKK #10 extra heavy duty brass Slider (2 sliders/pack) YKK #10 Brass Slider connect for zipper#10. Very stylish zipper pull by using these zipper slider. Zipperstop Wholesale YKK® 25" Medium Weight Jacket Zipper YKK #5 Brass ~ Separating ~ 580 Black (1 Zipper/pack) YKK brass separating zippers are made from the highest quality metal. Thoroughly tested to ensure strength & reliability. 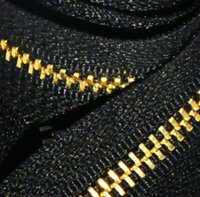 Highest quality zipper for a medium Weight jacket or coat. Medium Weight YKK Zipper. Brass teeth and Brass Auto-Lock slider. Color may vary on your monitor. 10" Vislon Zipper ~ YKK #5 Molded Plastic ~ Separating - 890 Dark Green Hemlock (1 Zipper / Pack) ZipperStop Wholesale Authorized Distributor YKK® Made from the finest quality plastic to ensure extra strength & reliability. Very popular for active wear and outerwear. Great for ski jackets. Color may vary on your monitor. Nylon Coil Zippers Assorted Black and White Colors - YKK Number 3 Skirt and Dress - Closed Bottom .100% MADE IN USA! (50Zippers/pack). 25 BLACK, 25 WHITE.. THE PREMIER ZIPPER OF CHOICE YKK#3 (3mm teeth) nylon coil closed Bottom zippers. 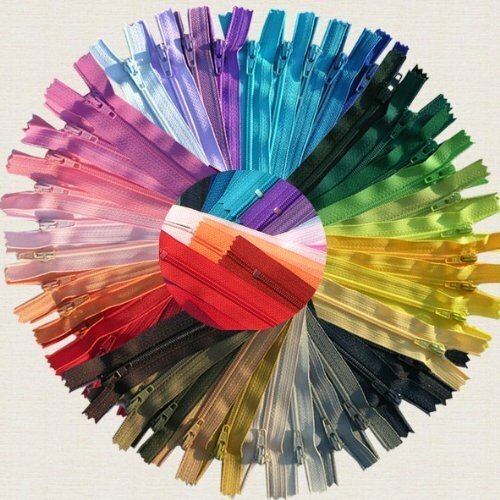 YKK #3 Skirt & Dress Assortment of Colors. YKK#3 (3mm teeth) nylon coil closed end zippers. You will get an assortment of the hottest colors of the season brite, dark and lite. Strong yet lightweight zipper for slacks, skirts and dresses. Note: Color may vary on your monitor. 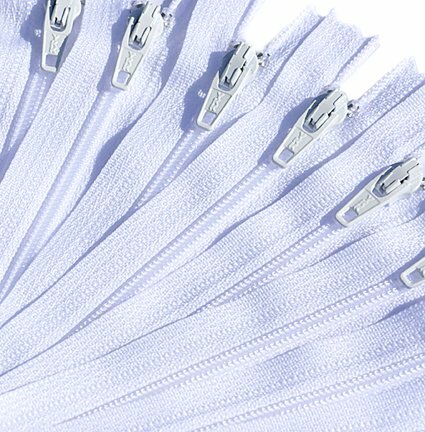 ZipperStop Wholesale Authorized Distributor YKK® 18" Zipper YKK Color 501 White #3 Skirt & Dress (25 Zippers / Pack) Measurements- Overall length is 19.5" (49 cm), actual zipper part measures 18" (45 cm) Strong yet lightweight zipper for slacks, skirts and dresses. Perfect for sewing pouches, purses, skirts, and dresses. They are YKK #3 nylon coil closed ended zipper. These are nylon zippers with plastic teeth and a metal slider. Color may vary on your monitor.